Here is your weekly reminder of Psalm 19 — spiral galaxy NGC 2841. Click on the image to appreciate its full grandeur. Such a boring name for such a beautiful object. German-British astronomer William Herschel discovered NGC 2841 in the late 18th century, although at that time he wouldn’t have known what he was looking at. Astronomers at the time categorized these indistinct objects as “spiral nebulae” and thought they resided inside of the Milky Way. By the 1920s, astronomers realized they were looking at “island universes,” what we now refer to as galaxies, that are well beyond the Milky Way. 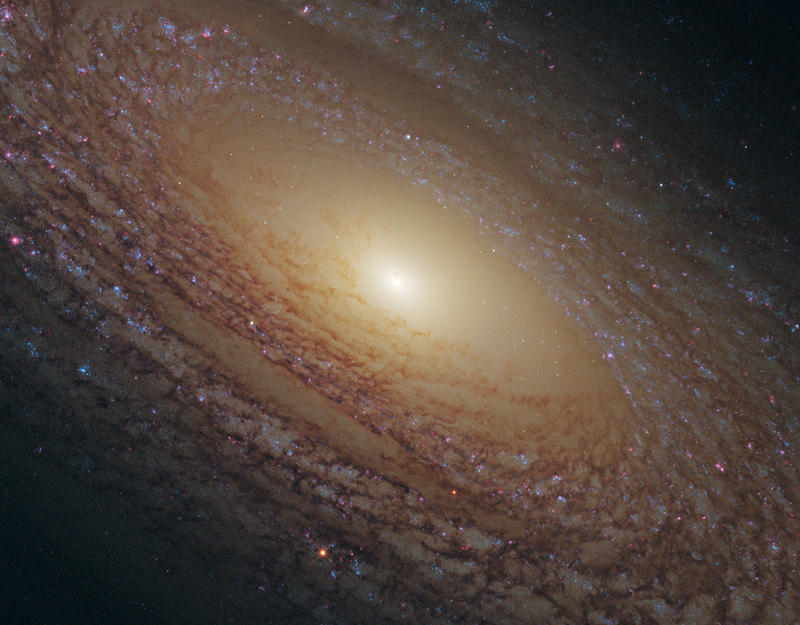 NGC 2841 is, like our galactic home, a spiral galaxy. However, it’s about 50% larger and its arms are “flocculent” or patchy and more tightly wound than the Milky Way’s. At 46 million light-years away, this galaxy is close enough to us that the Hubble Space Telescope was able to snap this magnificent view of its interior. Its golden-yellow nucleus contains a dense population of very old stars, while its arms are punctuated by bright blue dots and glowing pink hydrogen clouds indicating regions where new stars are forming. The dark swirls in the galaxy’s patchy arms are comprised of dusty gas that blocks visible light from view. If you have sufficiently dark skies and a large-ish telescope, you should be able to see this galaxy as an indistinct patch of fuzz in the Ursa Major constellation. Image credit: NASA, ESA, and the Hubble Heritage (STScI / AURA) – ESA / Hubble Collaboration. I’ve had requests to bring this feature back, which I am happy to do. 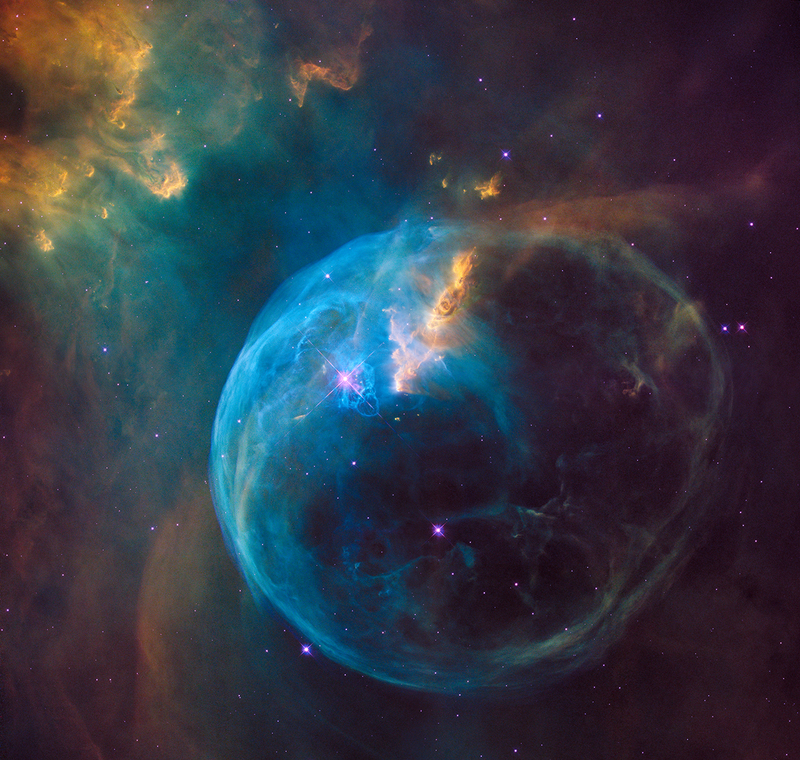 So, here is your weekly reminder of Psalm 19 — the Bubble Nebula, up close and personal. Click on the image to fully appreciate its grandeur. The Bubble Nebula is a shell of gas surrounding a massive, extremely hot star that is 15 times the size and 40 times the mass of our Sun. Stellar winds from the star push the bubble of gas out, while radiation from the star excites the gas in the bubble and causes it to glow. The nebula resides in a giant molecular gas cloud in the constellation Cassiopeia, and is about 7,100 light-years away. The Bubble itself is 3 – 5 light-years in size, which, if you could see it with your naked eye, is half the apparent size of the full Moon on the sky. This image is a composite of images of the Bubble Nebula taken with the Hubble Space Telescope this year, created by NASA to commemorate the 26th anniversary of Hubble’s launch. The nebula is imaged separately with different filters, and then combined with false colors to create this compelling final product. What you’re seeing here is radiation from excited hydrogen (red), oxygen (green), and sulfur (deep red) atoms. The following is a handy distillation of yesterday’s post, which refuted the claim that Genesis is just borrowed mythology from earlier traditions. I know some of you don’t have the time to read through articles like that in all their glorious wordage, so this is for you. It’s also intended for those of you who did read the article and need help remembering the key points. Atheists claim that Genesis is not unique, but merely borrowed pagan mythology. This is based on the opinions of theological liberals who find parallels between the Genesis creation story and pagan creation myths like the Babylonian Enuma Elish. The Enuma Elish was discovered in the 19th century as part of an archeological dig in the ancient city of Nineveh, where it was found recorded on clay tablets. This written account of the Enuma Elish predates the earliest written account of Genesis*. Together, the timing and the parallels lead some theologically liberal scholars to conclude that Genesis is not unique, but a plagiarism of pagan myth. God/gods resting once the work is complete. Humans are deliberate creations made in the image of their Creator. Humans are incidental creations, made from the blood of the slain monster Kingu. Nine hundred lines in length. There are parallels between Genesis and pagan creation myths such as the Babylonian Enuma Elish, but the differences are far greater. The key difference, which cannot be overstated, is the Genesis claim that God is the sovereign creator of the universe, from which all other things are made. No pagan myth makes this claim. Furthermore, the Genesis claim of a universe created from nothing is alone among all creation stories as being consistent with modern science. Genesis is therefore unique. The first rule of dealing with argumentative atheists is to fact-check everything they say, because if it isn’t an outright lie, it’s a half-truth or a manipulation. Take, for instance, the oft-repeated statistic that “93% of scientists are atheist.” This is a half-truth — more accurately a tenth-of-a-percent truth. The 93% number applies to the membership of the National Academy of Sciences, which represents only 0.1% of scientists in the U.S. It’s a very elite group of 2,200 members out of millions of scientists employed in the U.S., and is far from representative of the entire scientific community. So, what’s the real number? According to a Pew survey of scientists in the U.S., the number is about 41% non-believers vs. 51% who believe in God or some other higher power (7% didn’t respond on the survey). If you look at these survey results in detail, you notice some interesting things. For instance, younger scientists are more likely to be believers than older scientists. That’s why I laugh when atheists tell me the remaining 7% of NAS scientists will eventually become 0% as people become more enlightened by science. It’s nothing more than wishful thinking. The most unbelieving age group of scientists is 65 and older, and this is reflected in the NAS statistic. The NAS is comprised of very distinguished scientists, most of whom tend to be “old” for obvious reasons — it takes a long time to carry out the sort of work that gets you noticed by and elected to the Academy. If the nomination and election process is even somewhat fair, then we expect the % of NAS scientists who are atheist to go down, not up, as these more spiritual younger scientists mature and distinguish themselves in their careers. For some, not believing has everything to do with learning more about science. For others, science itself had little influence on their decision not to believe. In fact, for the majority of scientists I interviewed, it is not the engagement with science itself that leads them away from religion. Rather their reasons for unbelief mirror the circumstances in which other Americans find themselves: they were not raised in a religious home; they have had bad experiences with religion; they disapprove of God or see God as too changeable. For others, religion is simply irrelevant to their life’s passion of science. Here’s what you should take away from all this. Never, ever, ever take anything an argumentative atheist tells you at face value. That goes doubly for atheists on social media; they are bored, frustrated, socially-atypical people who live to stir things up with Christians. They are almost always lying, bending, twisting, or otherwise manipulating the facts. Always check for yourself, and let the truth set you free. It won’t come as a surprise to a lot of you that, by their own admission, atheists tend to be neurologically atypical. This is based not only on their behavior, but on diagnostics like Asperger’s tests and other tests that demonstrate a lack of empathy. But if you need more evidence, here it is. “Sorry if you have a crappy life, but not everyone does.” And meanwhile Richard Dawkins and James Watson will enjoy their good lunch. That’s their response to horrible suffering in the world, and it’s supposedly better than telling someone God allows suffering for reasons we don’t quite understand, but if you accept Jesus, you will have eternal joy with Him. I’ve managed to confuse a lot of readers with my password-protected “Super-secret stuff” post earlier today, and people are now asking for the password. It’s just an article that’s being vetted by a colleague, and I couldn’t figure out another way for him to see it with all of the formatting intact. I figured I could fool y’all by back-dating it to last year, but WordPress is more clever than I am, and sent subscribers a notification that I’d posted something. Anyway, you’ll get to see the article soon enough. Hopefully tomorrow. A friend recently sent me a critique of my testimony by someone named James of “Reasonably Faithless.” After I read James’ response to my testimony about how I made the journey from hostile atheism to a belief in Jesus, I was at first inclined to ignore it. Christians should generally resist the temptation to allow themselves to be sucked into the black hole of atheist discourse by feeling the need to respond directly to every attack on Christian belief. However, I think readers of this blog can benefit from what follows. As I read James’ critique of my testimony, I marveled at how much misrepresentation, hypocrisy, nit-picking, taking things out of context, incoherent philosophy, and false science he packed into a few paragraphs. If you’re ever faced with such a response, you may feel the temptation to respond to each and every point, but I’m here to tell you that’s a waste of time. Instead, focus your efforts on helping other Christians withstand such assaults on reasonable belief. To that end, there are two criticisms of my testimony, one logical and the other scientific, that can serve as useful exercises in how to refute atheist nonsense masquerading as legitimate criticism, logical thinking, and genuine science. She also reveals some extremely offensive views about suffering: essentially, people are “made to suffer for the bad things [they’ve] done”, and there is always “a reason for suffering”. This seems especially insensitive to the people who have lived a life of terrible suffering merely because of the place and/or time of their birth, and who never experience a silver lining of any kind. The basic atheist argument about the human condition is that all the pain people experience in this world is proof that there cannot be a God, because a loving God would not allow people to experience so much suffering. In the secular humanist protests against the unfairness of pain you can hear the voices of children furious at their parents for imposing consequences for bad behavior. C. S. Lewis answers this as well as anyone can in The Problem of Pain. James demonstrates his foolishness when he says that it is “extremely offensive” to point out the obvious truth Lewis demonstrated in his book about human suffering, which is that most of the pain people experience in life is the result of the bad choices they freely make. James, however, makes one claim that deserves serious consideration — some people experience terrible suffering simply because of the place or time of their birth. There is some truth to this; a significant amount of pain that some people experience cannot be easily explained as the consequence of their actions. But, even when atheists manage to raise a valid point like this, they immediate veer off into incoherence. As dedicated secular humanists, atheists are essentially children in their understanding of human existence. Most of them don’t so much disbelieve in God, but resent or feel anger towards God for being ‘mean.’ Those of you who are parents will recognize in the atheist mindset the child-like determination to avoid all discomfort and unpleasant consequences. The reason for this is that atheists need to believe in the possibility of ‘paradise’ on earth. As a result, they also need to believe that no one should ever have to feel bad and there should never be negative consequences for anything people do. When I read that I thought, “What a couple of jerks.” What kind of people can look at life as meaningless and bleak and then distract and comfort themselves with food? A ‘good’ meal or any other kind of material pleasure is small comfort to those who live a life of terrible suffering merely because of the place or time of their birth, and who never experience a silver lining of any kind. Atheists take away all hope for those who suffer. So, who is being insensitive? Every time I hear nonsense like this, I wonder whether humanists ever bother to work through to the logical conclusions of their beliefs. If they did, they would realize it is vastly more insensitive to tell people who suffer terribly through no apparent fault of their own that there is no reason for it. It is cruel to tell people that this one life of misery is all they get until they are annihilated by a cold and indifferent universe. If I was the type of person inclined to dictatorship (which I am not), the first thing I would do is make it a state crime to comment knowingly on a book you have not actually read. I mean, I’m assuming he hasn’t read Schroeder’s book, because he’s made two very basic blunders about Schroeder’s model that could’ve been rectified by reading the chapters on the age of the universe and evolution. It’s possible James has actually read the book, in which case he is either deliberately misrepresenting Schroeder’s argument or has failed to comprehend it. In any case, I used “literal” in a very literal sense in my testimony. Schroeder makes a compelling case for reconciling actual 24-hour Genesis days with a billions year-old universe. It works because, as every good physicist knows, you have to specify from whose frame of reference those 24 hours elapse. You can read Schroeder’s book to see how this works or go through my slide show presentation for an explanation. Whereupon he cites a few critical “scholarly” reviews of Schroeder’s book, including one by historian, Richard Carrier, a man who is best described as the court jester of the New Atheist movement and an utter embarrassment to intellectuals everywhere. When I first read Schroeder’s book, I spent a lot of time verifying its claims. Contrary to James’ assumption, that meant investigating criticisms of Schroeder’s model — the very ones James cites — which I found to be not only wrong, but surprisingly inept. For ostensibly smart people (most of them, anyway), these critics failed to understand the basics of Schroeder’s argument. I was especially taken aback that someone with credentials like those of the late mathematician, Mark Perakh, could fail to understand the straightforward physical argument laid out by Schroeder. I will write a separate post about this, because it deserves serious attention. … Sarah came to believe (for whatever reason) in the truth of Genesis, and then deduced that the gospels were true. Think again about her words: “I knew the Bible was reliable because of Genesis. This is a lie. He conveniently omits the statement in my testimony just before this one — “I knew of the historical evidence for [the Gospels’] truth” — which clearly implies I investigated the truth of the Gospels independent of Genesis. However, Christians do have reason to believe in the general reliability of the Bible based on Genesis. It was chosen as the first book of the Bible for a reason. 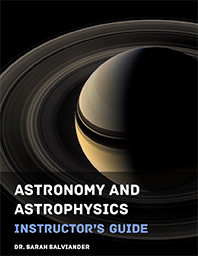 Among other things, it immediately establishes the reliability of the Bible in general because Genesis 1 performs a miracle right in front of our eyes – it gives a scientifically accurate account of the creation of the universe and life on earth over 2500 years ago when no person could have possibly known how the universe formed and life came to be. At the very least, this miracle of information that anticipated so many modern scientific discoveries should lead one to consider the truth of the other parts of the Bible. Having once been an atheist, myself, and now observing them from a Christian vantage point for a number of years, I’ve noticed patterns in their behavior. James presents us with a perfect example. What happens is this: one atheist will come up with an idea — say, that Genesis is just a mash-up of numerous sources from a number of different traditions — and then others pick it up, repeat it (often verbatim), and the idea gets passed around and around, and meanwhile nobody bothers to investigate whether the claim is actually true. They just repeat it mindlessly and accept its truth blindly, because they are emotionally invested in it being true. To my Christian readers, here is what you should take away from all this. Do not waste time trying to convince atheists of the foolishness of their arguments. They make these arguments for highly emotional reasons and will not part with them on account of either reason or science. Atheist emotions are in turn rooted in a deep desire for self-indulgence, which is in eternal conflict with God’s intention that we overcome earthly desires. Instead, spend time becoming totally familiar with atheist assaults on Christian beliefs and faith so that you can help shield yourselves and others, especially children, from the deceit and temptations of atheism.